We have carved a niche as a capable Manufacturer, Exporter and Supplier of Petals Choco Caffe Organic Face Wash Scrub in Rajasthan, India. 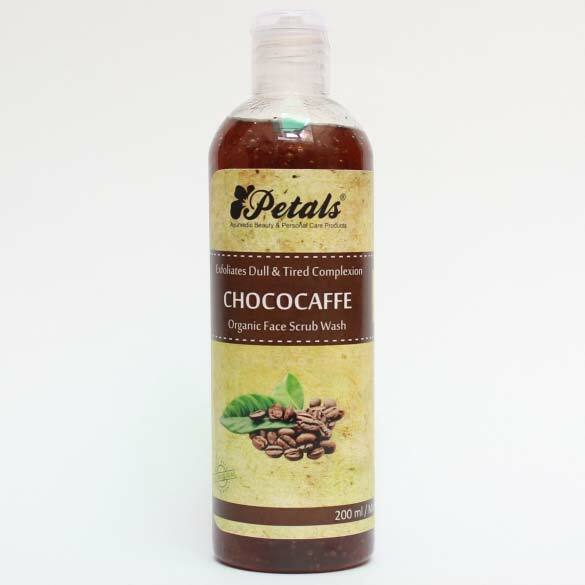 Our Petals Choco Caffe Organic Face Wash Scrubs are precisely formulated using quality tested organic ingredients. In order to meet different demands of the buyers, we make them achievable in different packaging options. One can get our expert’s proven Petals Choco Caffe Organic Face Wash Scrubs at feasible market rates.